Would you like an electrical contractor that uses the best products and cutting edge technologies? We specialize in prompt and professional service. 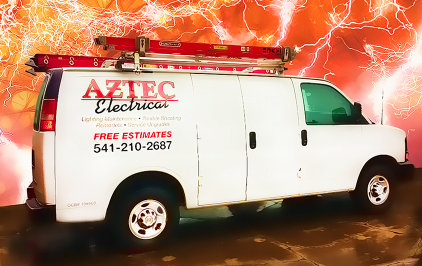 We take great pride in our work and our electricians offer the highest level of quality. 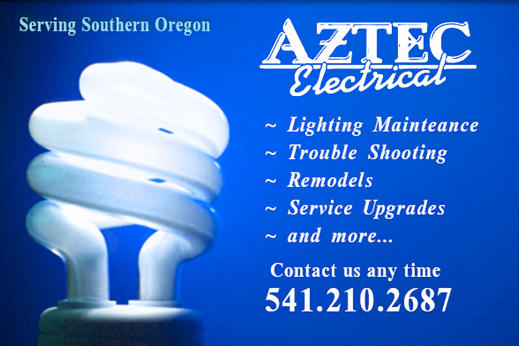 Our Jackson County & Josephine County electricians are licensed, bonded, and highly skilled in their field to ensure the utmost safety of your electrical system within your home or business. Our company is fully licensed and equiped to handle all of your electrical needs from new construction, remodels, tenant improvements, small additions, repair work, and much more. No job is too small!